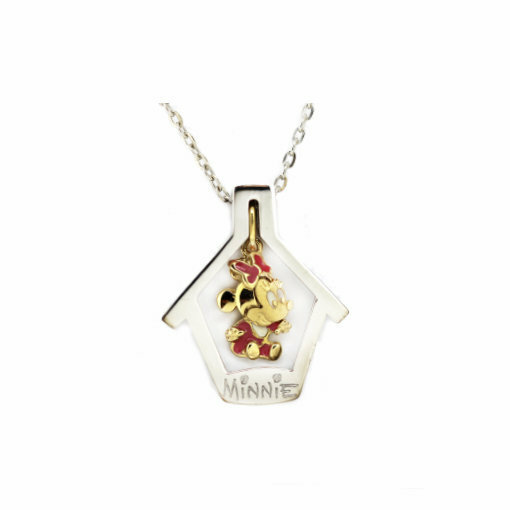 Pendant Minnie Disney Home detachable designed in 18 k gold solid and Sterling Silver 925 thousandths, with forced adjustable 40 - 45 cm silver chain, close handle. Brightness with unalterable enamel finish. Delivered in original case of Finor brand. Dimensions: 2.3 by 2. 0 cm manufactured in Spain.